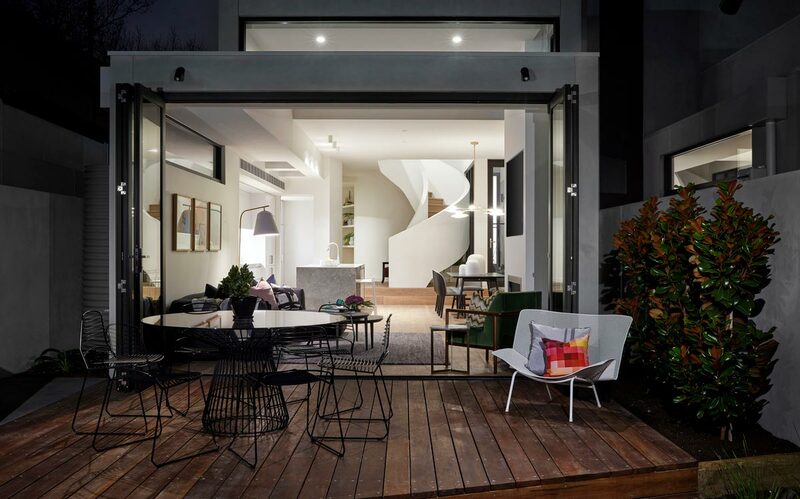 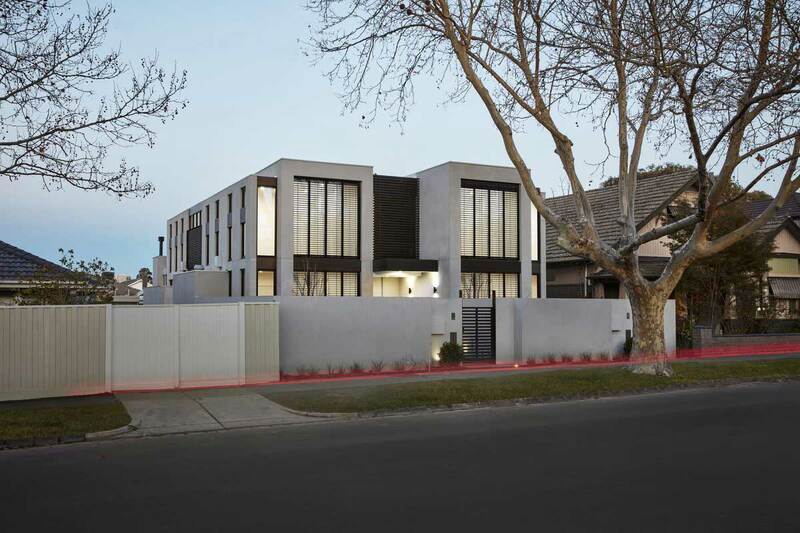 Welcome to the smooth stylings of the modern duo townhouses, located in Melbourne, Australia, and sitting pretty in their surroundings. 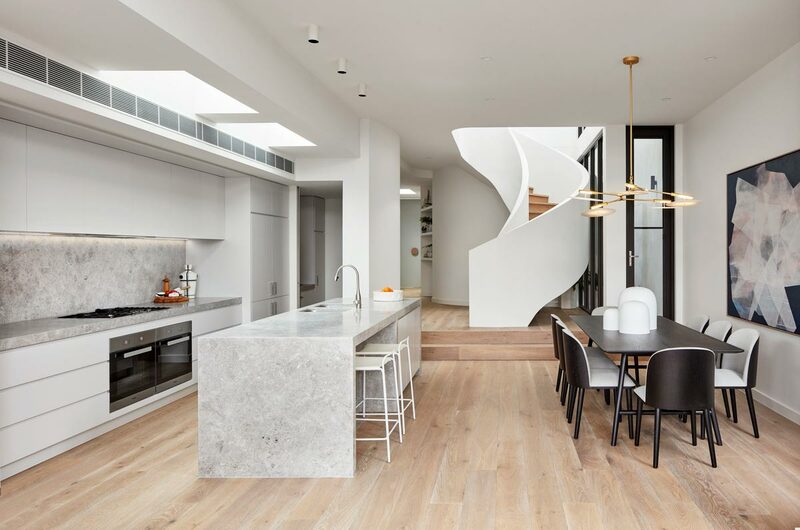 Without any peaks or overhangs, these like minded town homes are starkly modern from the exterior, but softly optimized in the interior. 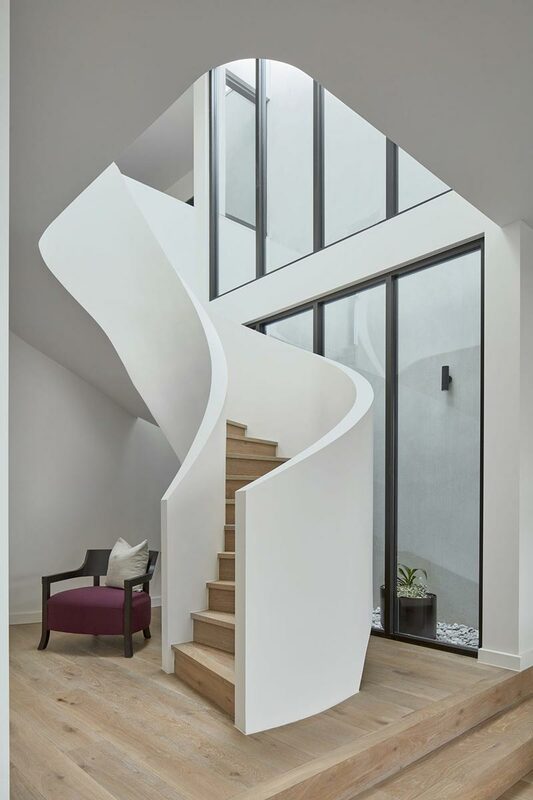 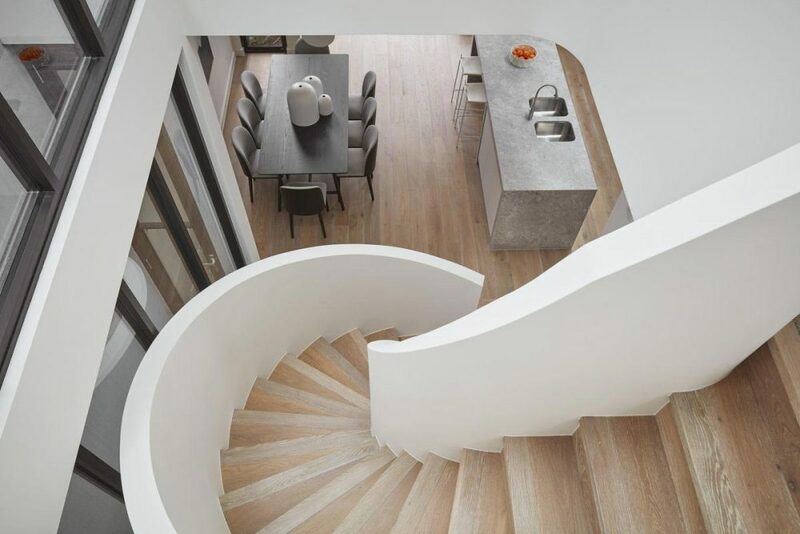 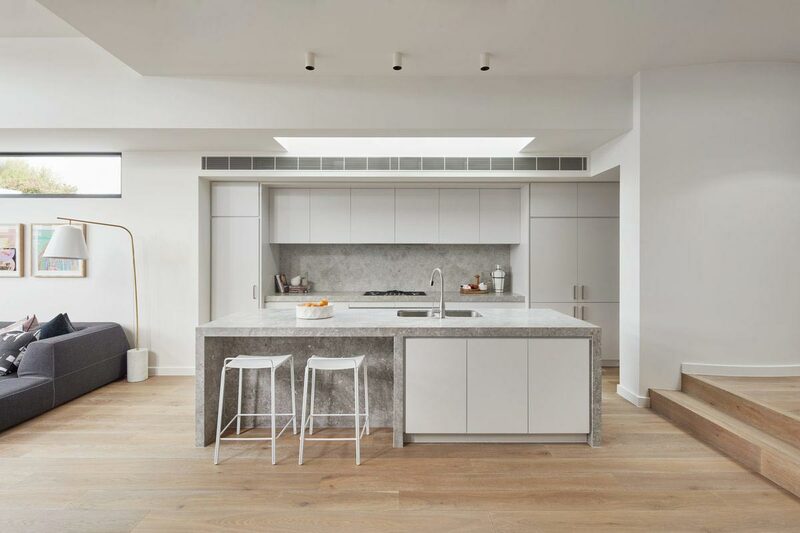 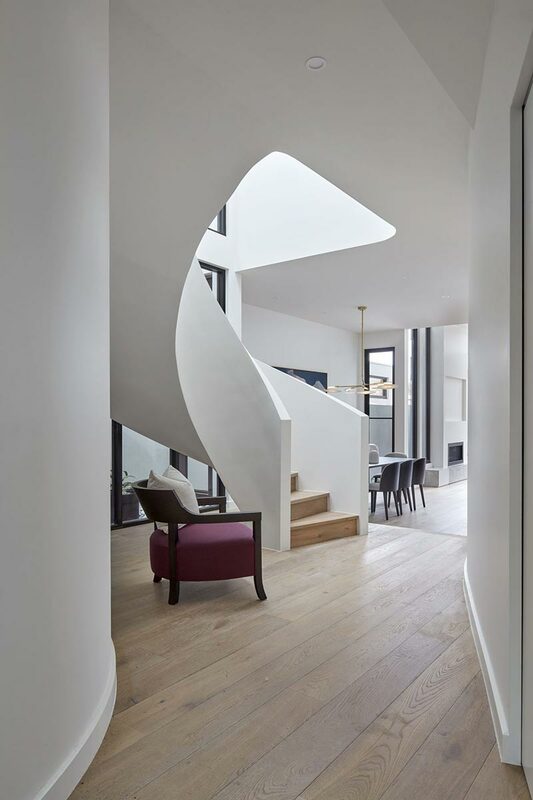 Offering a spiral staircase with a seamless solid white railing, whitewashed European oak flooring in the main living areas, limestone in the bathrooms, and tightly woven carpets in the bedrooms, Cressy Townhouses are as fresh as they are forward thinking. 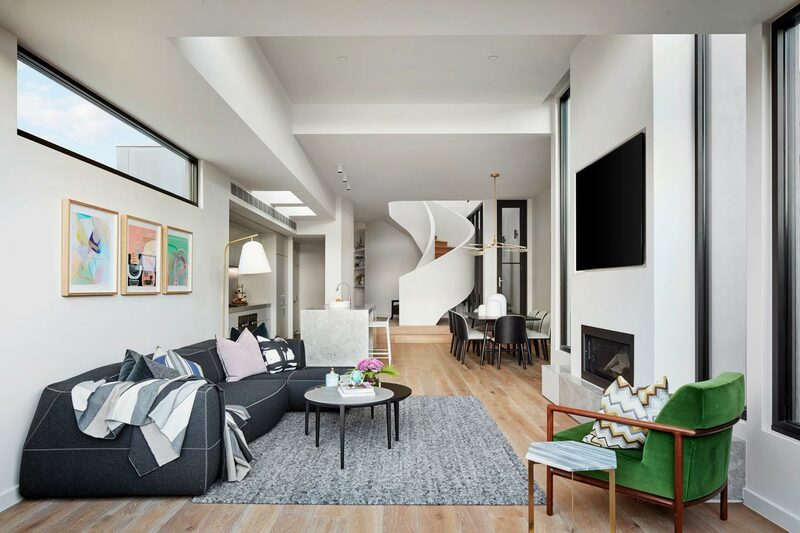 Metallic accents – such as brushed nickel fixtures and brass lighting, build upon the sophistication in each home, while floor to ceiling windows provide the perfect shade of natural lighting. 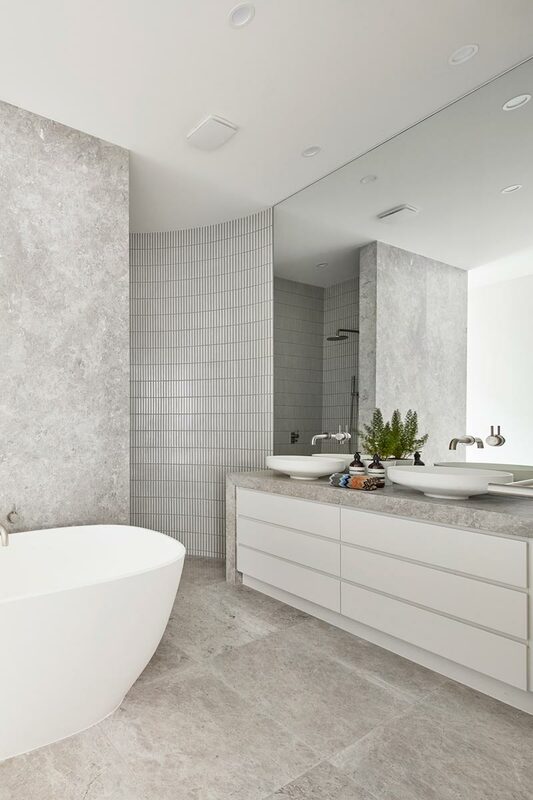 A sitting area and walk-in closet within the master bedrooms, makes this space increasingly grand, while the curved walk-in shower and larger-than-life tub graces the bathroom beautifully. 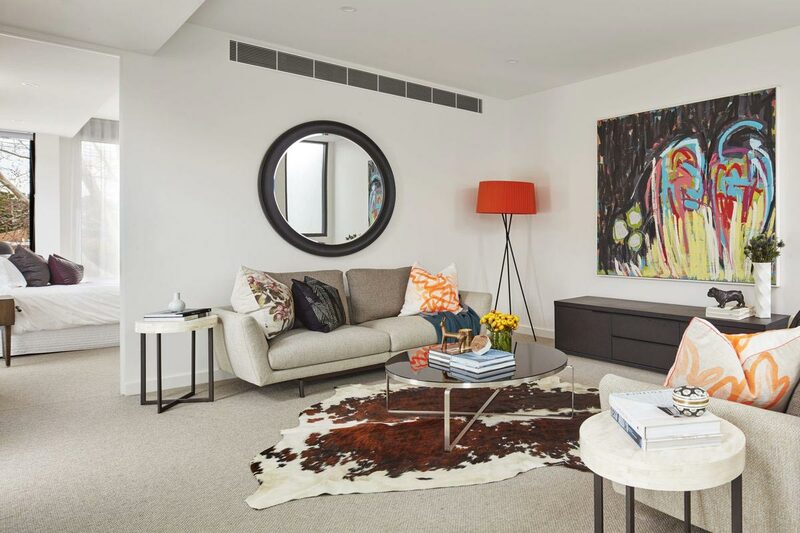 No matter who calls the Cressy Townhouses home, each space comes move-in ready, and is sure to please any palette or personal preference perfectly.